If you are doing Iowa research, you should visit IAGenWeb -- a prime source for Iowa genealogy records, family history, ancestor obituaries, other Iowa historical records. Post-em Notes may be used to add details about this record. There are no post-ems notes associated with this record. On this site you can upload gravestone photos, locate ancestors and perform useful genealogy research. If you have a relative buried in Iowa, we encourage you to upload a digital image using our Submit a Photo page. Contributing to this archive helps an untold number of family historians and genealogy researchers locate their relatives and complete their family tree. 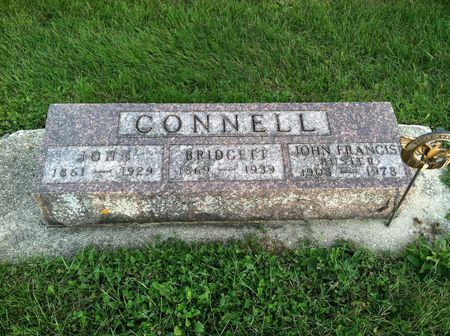 Searching for JOHN CONNELL in Chickasaw County Iowa?